I Taste Red is the first book of its kind to address and relate all the different sensory and psychological factors that shape our experience of tasting wine. 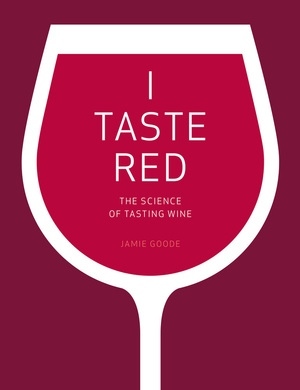 Award-winning author Jamie Goode explores how our sensory system, psychology, philosophy, and flavor chemistry all play a central part in our perception and enjoyment of wine. He uses case studies, grounded in practice, to demonstrate his theory and to illuminate his conclusions about how language and sensory output help us construct our recognition and interpretation of flavor. He examines whether wine tasting as a skill is objective or subjective and the implications of this distinction for wine experts. Delving deep into the science of wine but bringing in the influences of psychology, language, and philosophy, this book is a must-read for all lovers of wine. Jamie Goode is the wine columnist for the UK national newspaper The Sunday Express, and he also writes for The World of Fine Wine, Wines and Vines, Wine Business International, Wine and Spirits, and Sommelier Journal. He is the author of The Science of Wine and owner of wineanorak.com.